Just over a year after the release of their self-titled debut, Orcadian singer Erland Cooper and his two man Carnival of Simon Tong (The Verve/The Good, The Bad and The Queen/Gorillaz) and David Nock (Macca's The Fireman) return with follow-up Nightingale. On that first outing, their playfully sinister 'freak-folk' was accessible, yet the antithesis of the kind of inoffensive banjo-bluster of the likes of Mumford and Sons. Nonetheless, according to Nock the group have taken on criticisms that they 'were taking really old folk into the Seventies'. This time round they '...wanted to take something even older and make it even newer'. 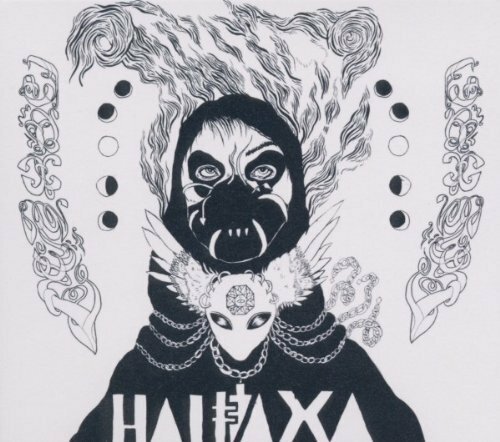 They've most certainly taken something older on two tracks in particular: 'Dream of the Rood' which is based on the early Christian poem and 'Wealldie' for which E&tC purport to have taken their inspiration from The Egyptian Book of the Dead. The latter kicks of with frenzied garage-rock strumming and militaristic snare-rolls, but quickly transforms into a gently plodding ballad of subtlety dissonant effects and treacly vocal harmonies punctuated by muscular drumming. 'Dream of the Rood' has a closely mic'd Cooper and clunking trip-hop percussion sounding like they're coated thick with dust, an effect shaken off by a brighter chorus which doesn't forsake any of the intimacy. 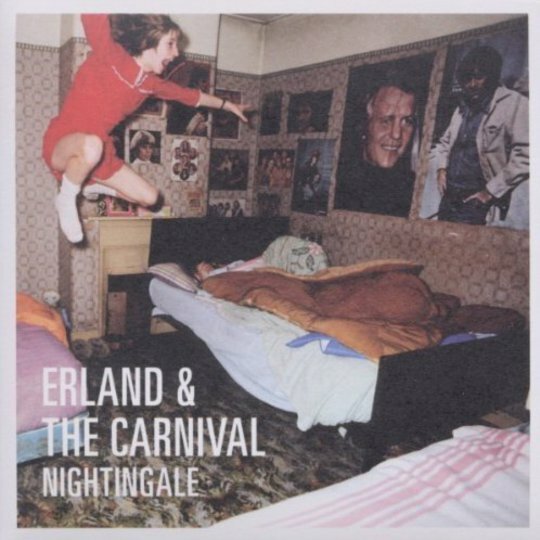 It might be achieved through thoroughly modern studio effects, but the songs retain a rustic feel, which is not a criticism; Erland and the Carnival make good at being a group who successfully accent their modern indie rock with olde world aspects of folk in a much more effective manner than so many acoustic troubadours. 'I Wish, I Wish' is a predominantly electronic song based around the swirl of glistening synth arpeggios and little synthetic percussion fills, but as Cooper sings ”That will never be until apples grow on orange trees” it sounds like old wives' tales and the swirling synths have a psychedelic dizziness all of their own. The sort of organ sounds which you would readily associate with a 'Carnival' are in abundance on tracks like opener 'So Tired In the Morning' and the intro to 'This Night' (which unfortunately takes a turn for the duller with its jaunty electric strum). However, often synthesizers play a similar role, but providing a more modern gleam and wider sonic possibilities less tethered to a retro aesthetic. The title track is a perfect example, where gauzy synths swell and froth their way into the foreground throughout the song's course, eventually engulfing Simon Tong's fractured guitar chords, another key component in the E&tC sound. The dry tone of Tong's untreated guitar adds a little organic grit to the likes of 'Springtime' and the crunching chords of 'So Tired In the Morning' have a Sixties garage-rock feel. More often than not, however, Tong's guitar is drenched in effects that lean towards the proggier side of psychedelia. On 'Emmeline' sparse notes are plucked around the extremes of the stereo field alongside eerie keyboards with only a galloping beat to the fore making the song sound like Sixties Scott Walker stripped of its orchestral bombast. It's at once thrilling and beautiful. 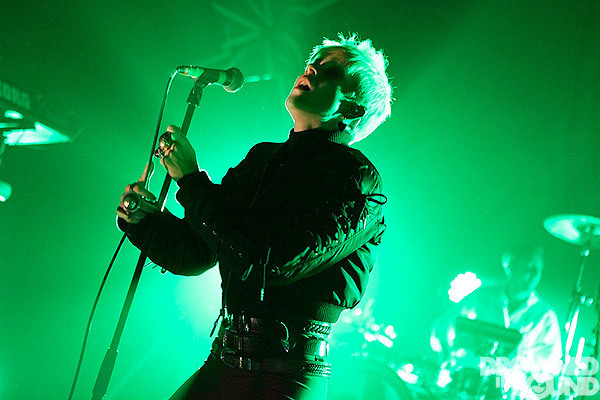 However, to pick over certain aspects of the E&tC sound is to perhaps do their combined compositional skills a disservice, as so many of the songs bristle with a variety of different sounds and voices including what sounds like the odd auto-harp strum, various synths and effects, and guitars both electric and acoustic while David Nock utilises a range of percussion other than just drums. Whatever the case, Erland and the Carnival are a group who don't need to concern themselves with where they figure in the history and future of folk music in any sense. They are more than interesting enough just being themselves.